Helping students to explore, find and share their unique ideas, insights and voices is perhaps the most important work we do as educators. Not everything is going to work for every child. Every student will have various degrees of comfort with exploring and sharing but if we can nudge them just a bit, to take a step, look around and roam the edges we can expand their possibility and increase their potential. And if all of our students become brave explorers, just like the brave explorers from past centuries, we expand possibility for everyone. and do the same for your students. 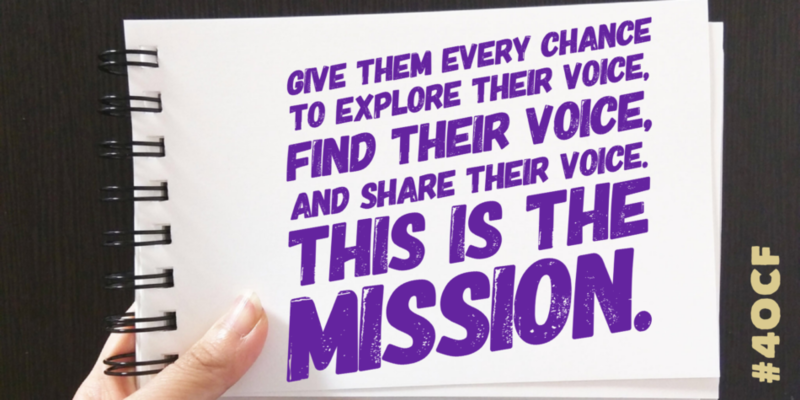 Give them every chance to explore their voice, find their voice and share their voice.